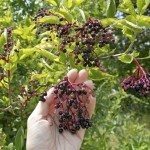 Elderberry is a deciduous shrub or small tree that has beautiful dark green leaves set off by clusters of creamy white flowers in the spring and early summer. But what if your elderberry leaves are tuning yellow? What causes yellowing leaves on elderberries and is there a way to rectify this? Let’s learn more. Elderberries are from the family Caprifoliaceae, or honeysuckle family. The aforementioned clusters of blossoms turn to black, blue or red berries favored by birds. 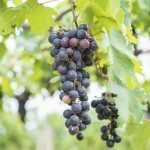 They thrive in areas of full sun to light shade, need a moderate amount of water, and are fast growing shrubs that can be pruned to create a screen or windbreak. Elderberries are hardy to USDA plant hardiness zone 4. Sometimes, certain conditions such as nutritional deficiencies or weather changes can cause yellowing leaves on elderberries. Like other deciduous trees and shrubs, elderberries naturally change color in the fall. Some cultivars, such as “Aureomarginata,” actually have some yellow in the leaves. So sometimes, but not always, an elderberry with yellow leaves is just a natural adaptation. What if it isn’t fall and you don’t have a variety of elderberry with yellow coloration, yet your elderberry leaves are turning yellow? Well, iron deficiency causes yellowing of leaves in deciduous trees and shrubs. Iron allows the plant to produce chlorophyll, which is what makes leaves green. Early on, an iron deficiency manifests itself as a surface yellowing of the leaf with green veins. As it progresses, the leaves turn white, brown and then dieback. Conduct a soil test to see if you have an iron deficiency that is causing an elderberry with yellow leaves. Besides a nutrient deficiency, lack of water, trunk damage and even planting too deeply can all cause an elderberry with yellow leaves. Diseases such as leaf spot can also yellow leaves. This begins as black or brown spots on the underside of the leaves. The center falls out, leaving a hole with a red halo. The leaves may then yellow and drop. Verticillium wilt is a disease that can also cause yellowing foliage in elderberries. New growth wilts, growth slows and entire branches eventually die. Proper care is often the key to preventing disease or damage to your elderberry. The shrubs prefer moist, well-draining soil in full sun to partial shade. 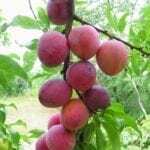 Prune out any dead or damaged branches and keep the soil damp. Control pest infestations as well, which can open a gateway to disease.